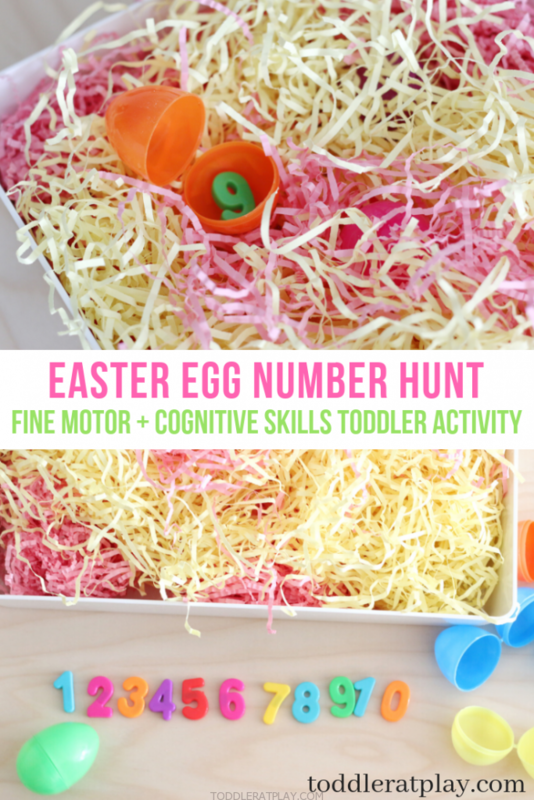 Looking for Easter activities for your kids? 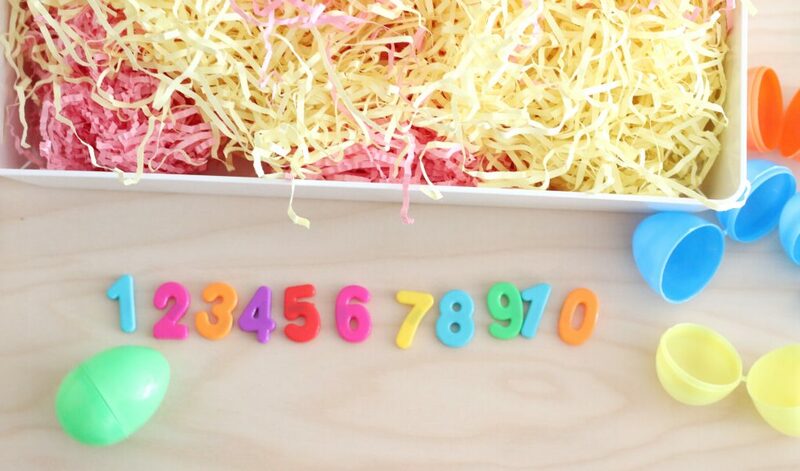 I’ve got this super easy-to-prep and fun Easter Egg Number Hunt for you! 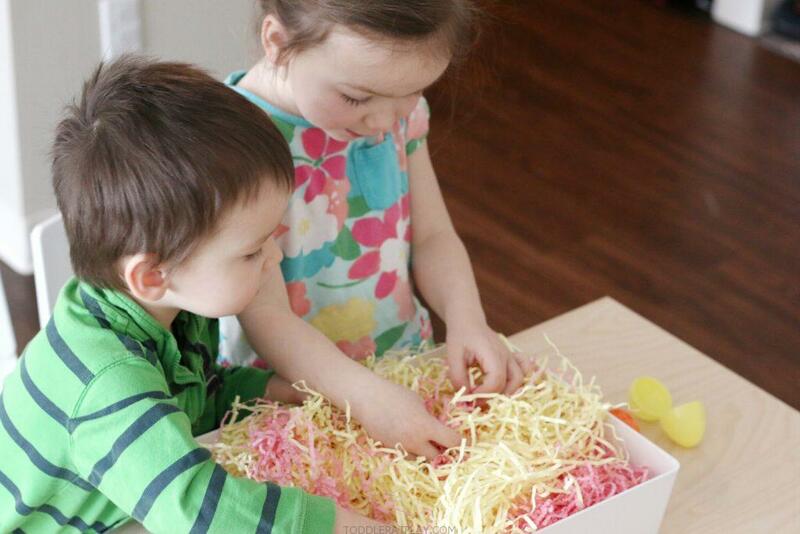 My kids loooveeed this activity (maybe because it involves the shredded paper and that’s always fun). They worked together, searched and found all of the eggs and then placed the numbers in order. Great team work! My favorite part about this activity is that it makes learning so much fun and exciting. I’m not too keen on seatwork, head-down and writing. I think that can get boring and actually, tiring. 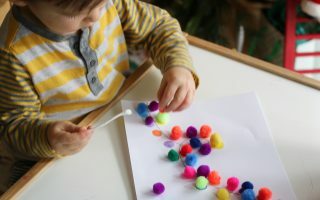 That’s why I love to create activities that my preschooler (and toddler) can do, have fun, exercise/improve gross and fine motor skills and be excited about learning! Honestly this was one of those easy activities I came up with when I saw my kids getting a little bored through out the day. 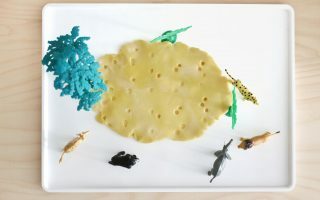 I always like to keep them busy and learning, so this was a quick activity and they enjoyed it so much. I’ve had all of the materials right at home and involved almost no effort. 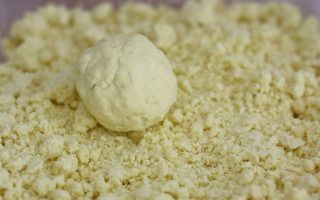 Keep reading to see how to set it up! 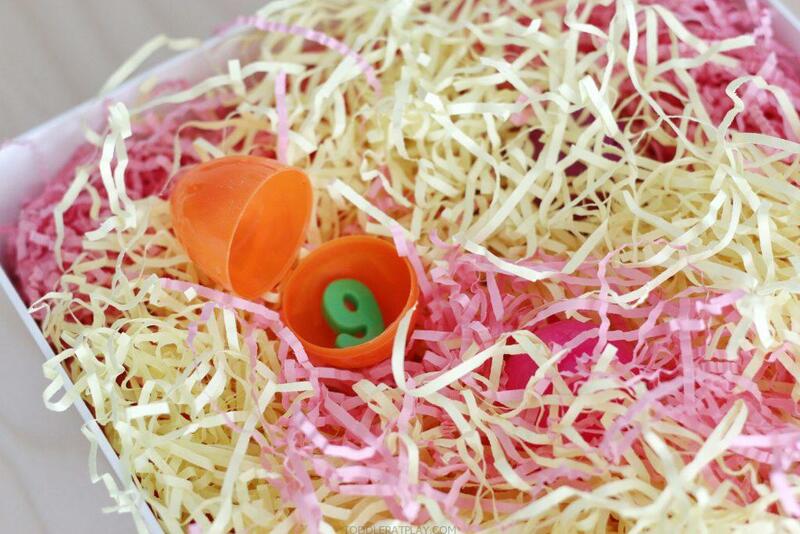 Place the Easter basket grass into the bin and rip it apart a little bit. 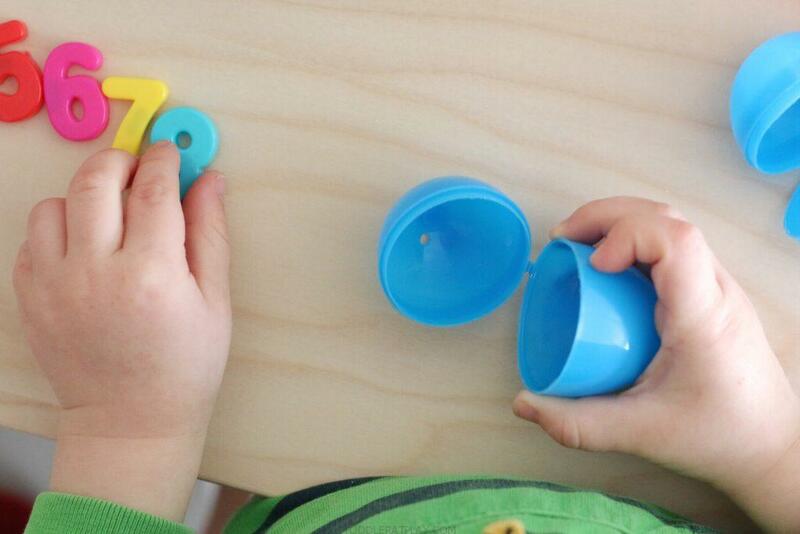 Next, place a magnetic number (or any small number munipulative) into the plastic Easter egg and hide in the grass filler. Do with all of the numbers (we did from 1-10). 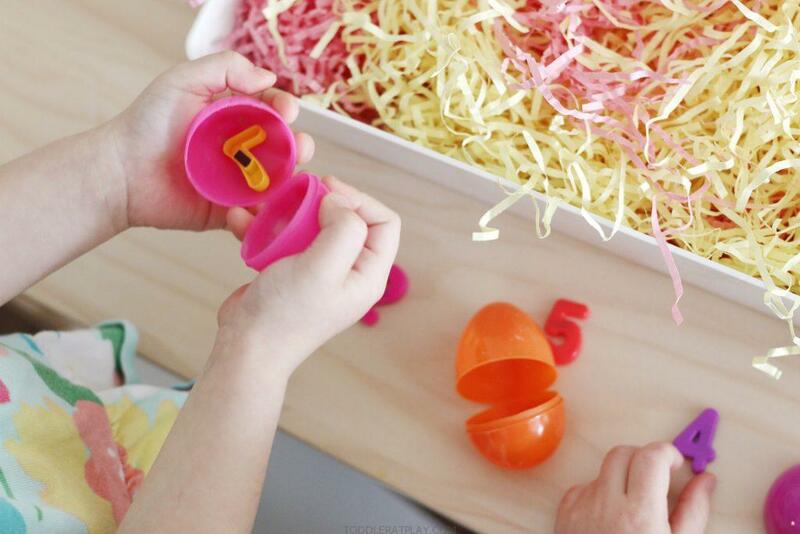 Make this fun Easter Egg Number Hunt today!